Support our final Major Maintenance fundraiser of the year by purchasing a HoneyBaked Ham Gift Card! You can use your HoneyBaked Gift Card to shop online, order from the HoneyBaked catalog or pick up at any HoneyBaked location nationwide. The gift cards make GREAT stocking stuffers! And the most satisfying part? 20% of your purchase goes directly to support the fundraiser. Please feel free to share this event with friends and family. This promotion ends December 31. There are so many ways to enjoy HoneyBaked Ham. 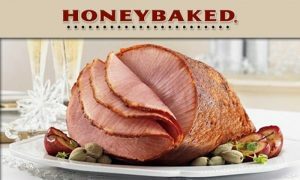 Every HoneyBaked Ham is fully cooked & ready to serve, so you can spend less time in the kitchen and more time with family. Underneath that sweet, crunchy glaze is the leanest, most flavorful, moist & tender ham you’ll find anywhere. Whether it’s our signature ham, tender turkey, delicious desserts or our tasty Heat & Serve sides, you know you’ll be serving the best.